Walk through the night of day and discover a garden of lavender dreams. channeled message received from Oliver on 9/7/17 at 2:33 a.m. ET US. I woke up around 1:45 a.m. Got up, ran into my niece as we passed in the hallway; she on her way to bed, me just getting up. Set up my computer on the kitchen table, put in my ear buds and turned on some music. Most of my photos are located on portable hard drives and I’m too lazy to walk back to my grandnephew’s room where I’m parked to dig one out of my packs, so I decided to take one photo of anything in the house and use what I had on my cell if I needed to expand from there. Took a photo of a dozen roses still wrapped in the original cellophane and resting inches from my computer on the table. That’s the pic I used for the banner spot at the top of this post. My cell is a bit weak on the pixel side of image capturing so all my phone photos are of a lower resolution then those taken with my Nikon. Knowing that, and accepting in advance, I planned to Photoshop the heck out of it to bring it to prime, commercial utilization. Then I turned on some music and opened Photoshop. Once in Photoshop I changed the color of the buds from purple to red thinking that may be more palatable for the viewer. Complete, I changed from my YT music playlist to Natalie’s (from Alchemy in You) reading for Libra for September 1 thru 15, 2017. Figured I could squeeze in a minute or two of research before I began writing while I opened the blog, set up this post, and began. Seconds later, literally, she said this. Libra September 1-15, 2017 Reading – PREPARING FOR DECISION! Guess what I did next? I returned to Photoshop, changed the red back to the original lavender and uploaded that image to WordPress for use as the banner herein. I knew then that the topic for today’s post was spot on. It is one of Oliver, the collective consciousness, and of Home… Hiraeth. Sit down! Sit there and watch me choose you! Here’s what’s happening. Since Sunday, every video I’ve played on YouTube that isn’t one of music reflected events between August of 2016 and present day, those specific to me, my experiences with Oliver, Source, Hiraeth, and all connected thereto. It has been unusual and a bit unsettling. 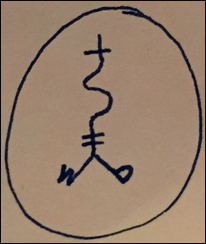 Seems I took action on some decision I made connected to this experience-line which triggered the release of this information. Or, maybe it is just time for the reveal. Yeah, yeah… I know it sounds weird. It IS weird! So weird. But true. Then, today… I followed the lead and continued to watch videos that I was being led to stream. Had a few hours in the middle of the afternoon to play. My niece was at work and the kids were in school, so it was just me and my nephew-in-law here at the house. So, I listened. Same thing. One after another after another. All telling me my story. Filling in the gaps. Hinting of relationships and the “project” (this Hiraeth website, for one) that were coming. All accurate. Mind blowing. Favorite repeating theme… Finding home, our metaphorical home. Home is within. Go within. Go now. I’ve shared below four of the dozens of video clips that have come my way with information. All are very short segments. Each will offer a bit of the reveal I experienced. I think they speak for themselves so I won’t go into a long diatribe about what is contained therein and what that clip relates to in my life. If you feel more is needed, post what you think in the comments section at the bottom of this web page. Suffice to say this is only the beginning! Yes, there is something happening, but it ain’t just to me. It happening to millions of us. We are all beginning to feel these energetic and reality shifts, and today I was reminded of my commitment to tell my story, share what I know, and be here at the edge of reality and fantasy asking you to have faith and jump! Thank you Christelle Martinette for sharing your gifts with us, and in doing so offering us the world – 3D and beyond. Oh… and Oliver, thank you for hearing my call for more and answering it so quickly, with intensity in density. You are my destiny. 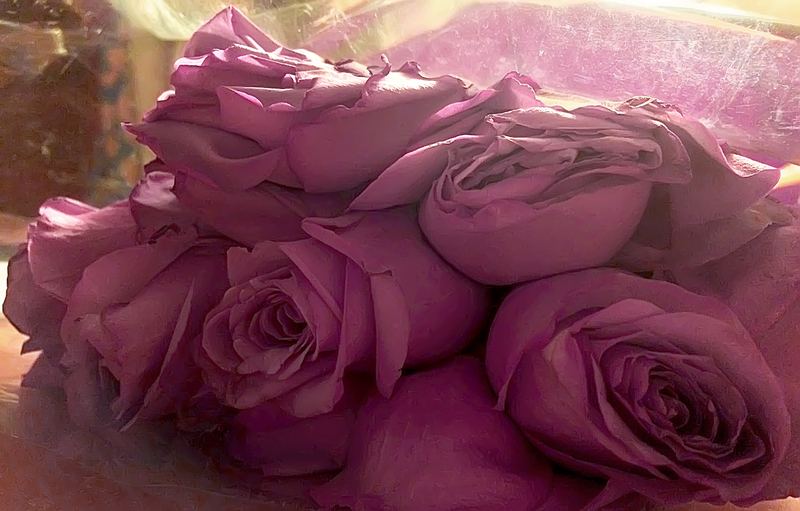 Note: Banner / Blog page placeholder image is of a bouquet of lavender roses given to my niece recently that were sitting on the kitchen table as I began meditating for this post. Photo taken on 9/7/17. To view full sized version click here.